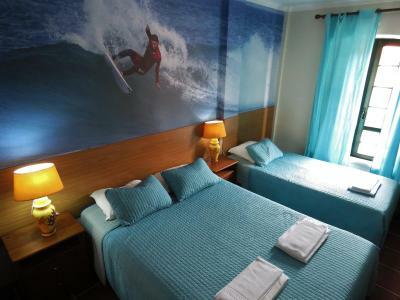 Lock in a great price for Supertubos Beach Hostel – rated 9.4 by recent guests! You’re paying for a cheap hostel but you get hotel level service. 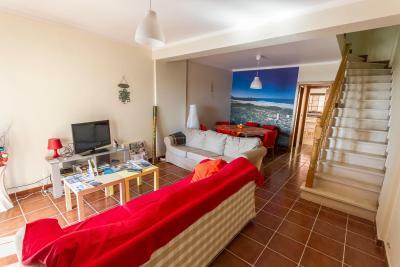 The owner is extremely friendly and helpful, it’s clean and nice and has everything you need. Can’t recommend enough! 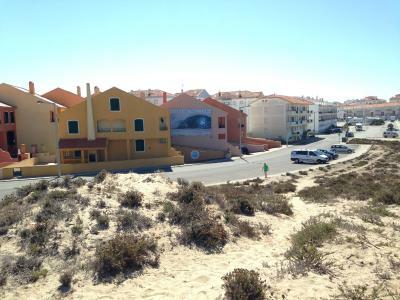 The hostel was clean and the location was right on the beach! Luis was a great host, warm and welcoming, gave us a great recommendation for dinner and what to do in the area. Nice breakfast in the morning. It was our first time in a hostel and it was very nice! Personal connection the owners made with customers. No worries attitude about everything. 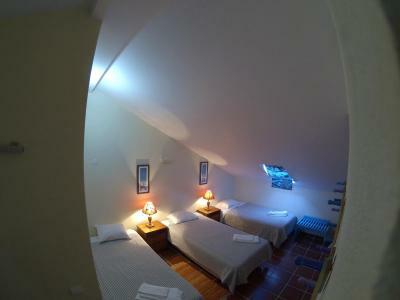 Cheap rentals and cool layout of all the rooms. All around great place. Luis was great to have there to give us info and is personable and a great person. Place has a great vibe. 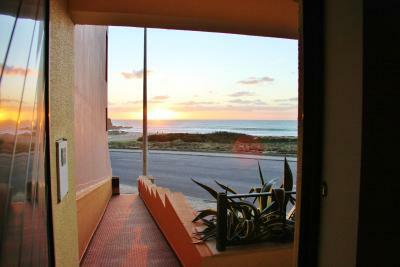 Really nice facilites, right by the beach and with a great breakfast! Fresh bread every morning. 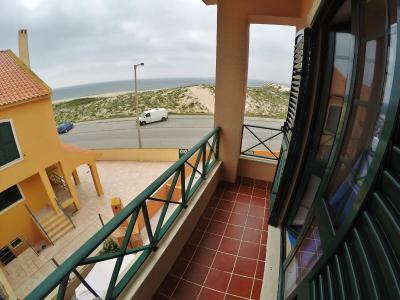 The host, Luis, was amazing and knows the area really well and gave us the best tips. Definitely recommend it and definitely coming back! Breakfast was great and the host is really friendly and nice. Would recommend it to anyone! It was a amazing accommodation everything was very clean. As soon as we arrived Louis showed us where we could storage our surf-gear. After we got showed around the Hostel and told about the area. I wish every place we stay the manager was so friendly and helpful. Definitely a very big tum op for this place! 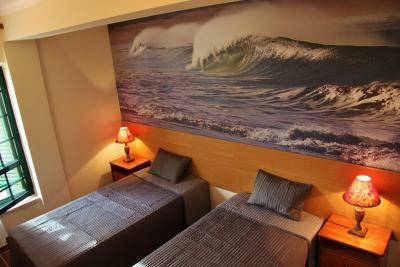 Right across the street from Supertubos Beach, this hostel is located in one of the premier surfing spots in Portugal. 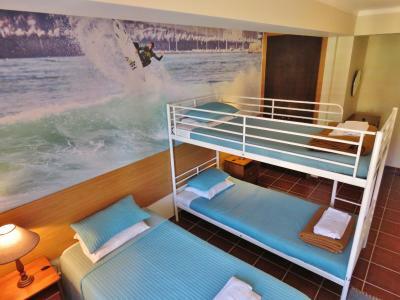 Supertubos Beach Hostel provides surfing lessons, scuba diving and tours at an extra fee and features free WiFi. 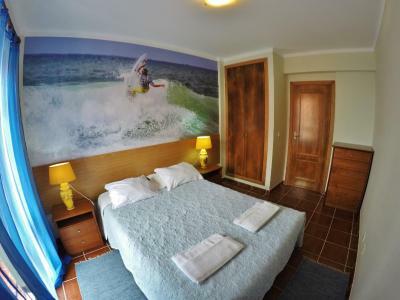 All of the rooms at Supertubos feature access to a shared bathroom. 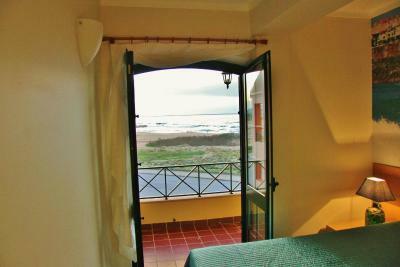 Some rooms also include flat-screen cable TV, a balcony and views of the sea and garden area. 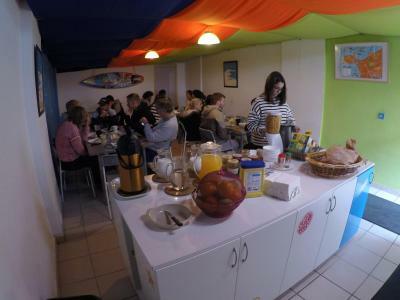 Breakfast is included and served each morning for all guests of the hostel. 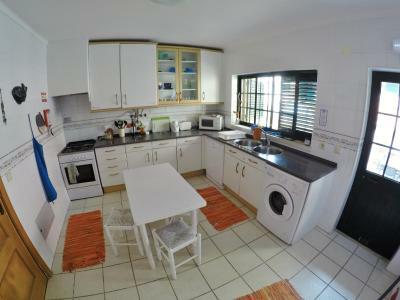 Guests are welcome to prepare their meals in the units’ communal kitchens. 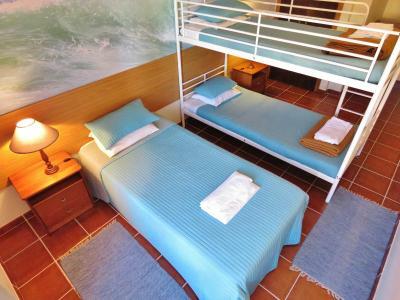 These are equipped with microwave, refrigerator, stove, toaster, cutlery and coffee machine. 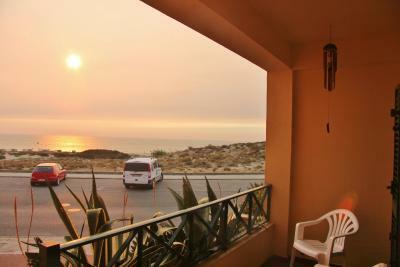 Outdoor barbecue facilities are also available. 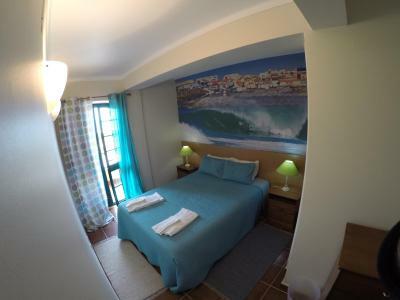 The Peniche city center is a 12-minute drive and has many shops and restaurants available. The local cuisine specializes in various types of fish and seafood-dishes. 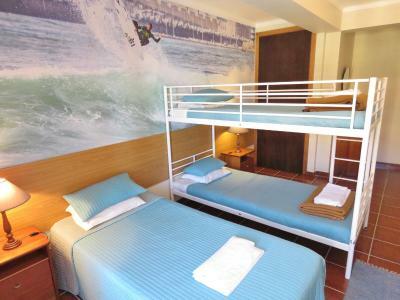 The Supertubos Beach Hostel includes a games room, where guests can relax and read a book, as well as play several games, such as table football. 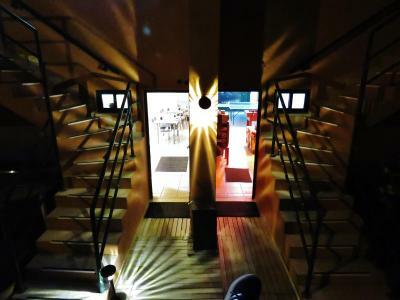 The complex that houses the hostel includes a Spa & Wellness center, with massages, sauna, indoor swimming pool and a Turkish bath. The area also includes tennis courts, which guests can enjoy at a surcharge. 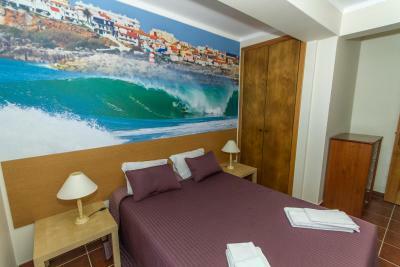 The Lisbon International Airport is a 60-minute drive from the Supertubos , and the hostel provides a shuttle service at a surcharge. 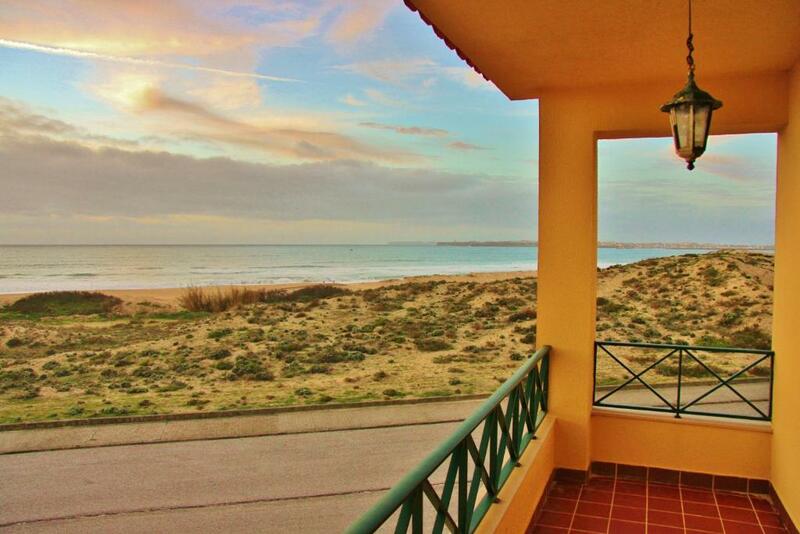 This property also has one of the top-rated locations in Peniche! Guests are happier about it compared to other properties in the area. This property is also rated for the best value in Peniche! Guests are getting more for their money when compared to other properties in this city. 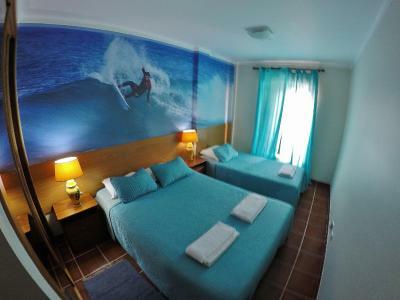 When would you like to stay at Supertubos Beach Hostel? 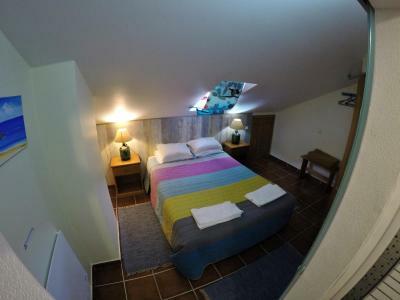 Double room with access to a shared bathroom. 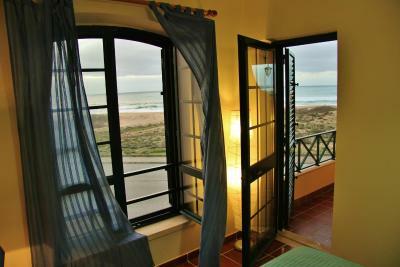 The room features a balcony with a scenic view of the beach. 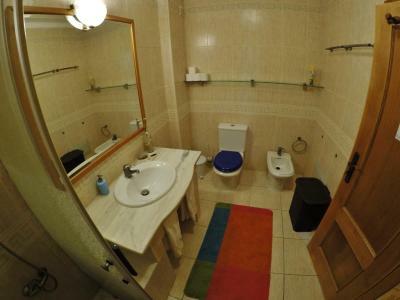 Room with access to a shared bathroom and a wardrobe. 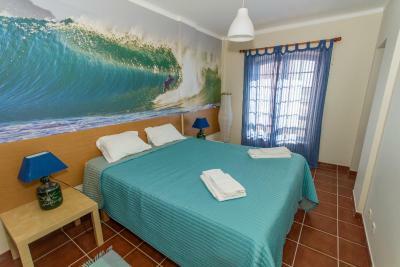 House Rules Supertubos Beach Hostel takes special requests – add in the next step! Supertubos Beach Hostel accepts these cards and reserves the right to temporarily hold an amount prior to arrival. 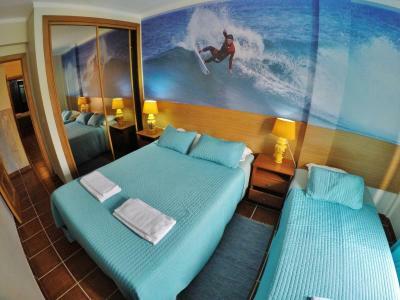 Please note that for reservations of 4 or more rooms, special payments and cancelations policies may apply. Really friendly place with great location. Such a nice host. Thank you we really enjoyed the stay. We had a really nice view. It was out of the main saison most of the restaurants neerby were closed. The breakfast was very delicious. Luis is a very kind and courteous host. It´s like to be at a friends house. 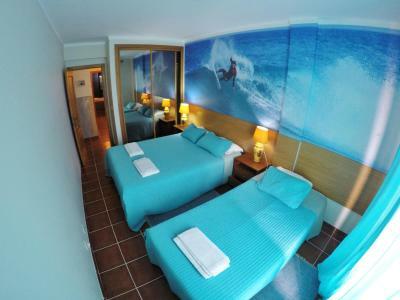 The room with ocean view was amazing and the bed really comfortable. 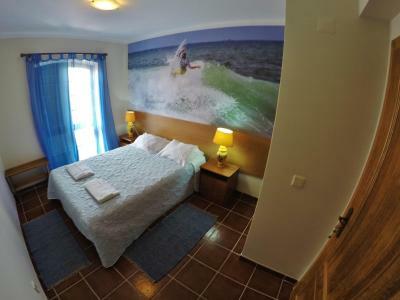 Luis the Host is amazing, he did everthing he could to make you feel at home at Supertubos beach hostel. You can definitely tell he loves his job. 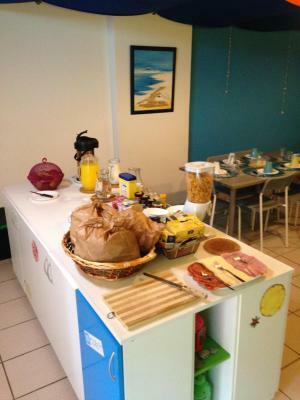 The breakfast was exceptional for a hostel the best I had in Portugal until now. The bread was really fresh and warm and directly from the local bakery. 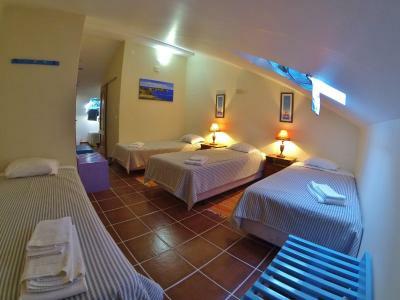 The rooms are very clean and all have a personal vibe. 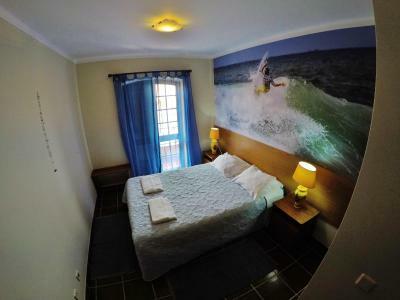 If you are looking for a smaller and more personal hostel to just focus on surfing or you just want to relax near the beach this is the place to be! 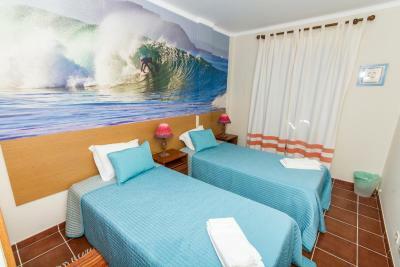 Unlike the dozens of overcrowded Surfcamps nearby. 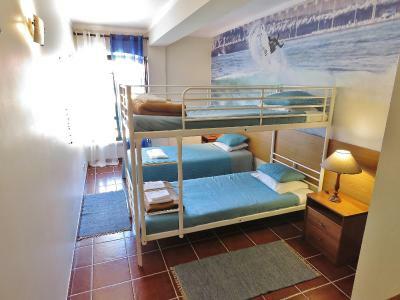 You can also rent a bike with rack for your board and just explore the area for yourself or with friends for a reasonable price and all the equipment bikes and surfboards etc. are brand new and in the best shape. I would love to come here again anytime! Perfect place to enjoy the waves of Supertubos! Luis was such a good host and very frendly, helpful! The food was awesome and the fact the he waited for us to check in , even if it was late, made our stay really special! Amazing sea views from balcony . Great homely feeling and host made you feel at home.